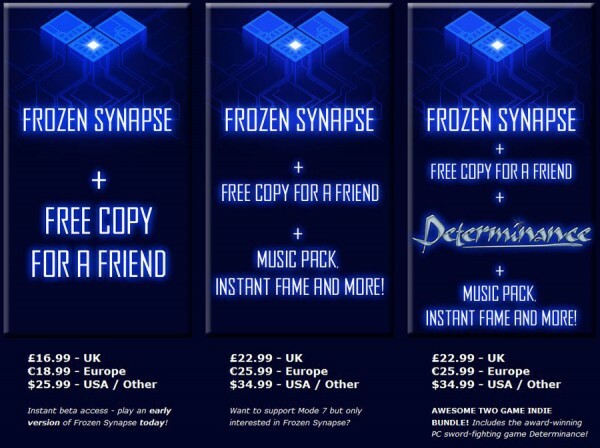 A reader 1 sent me a tweet recently pointing to something that reminded him of an article he’d read here: the pre-order options for Frozen Synapse, a PC strategy game in development by Mode 7 Games. Click to subject to gargantuization. So, look closely: Option 3 gives you the most stuff, but it’s the same price as Option 2. Why would anyone buy Option 2 when for only an additional $0 they can get more? Or, more to the point, why isn’t Mode 7 Games charging more for Option 3? When he presented just the options to his MBA students, 16% said they’d go for the website only deal, and 84% said they’d take the print magazine plus the website. Nobody was stoned and/or stupid enough to take the print only deal. Why would they? It was the same as the print + website subscription! Interestingly, though, Ariely turned around and presented the SAME students with the same choice, except he omitted the print only subscription entirely. When he did this, a lot of people flip-flopped: 68% took the website only deal, and 32% chose the print plus website subscription. This meant that while nobody chose the middle option of print only, just having it there made people more likely to spend $66 more for something they wouldn’t have bought otherwise. 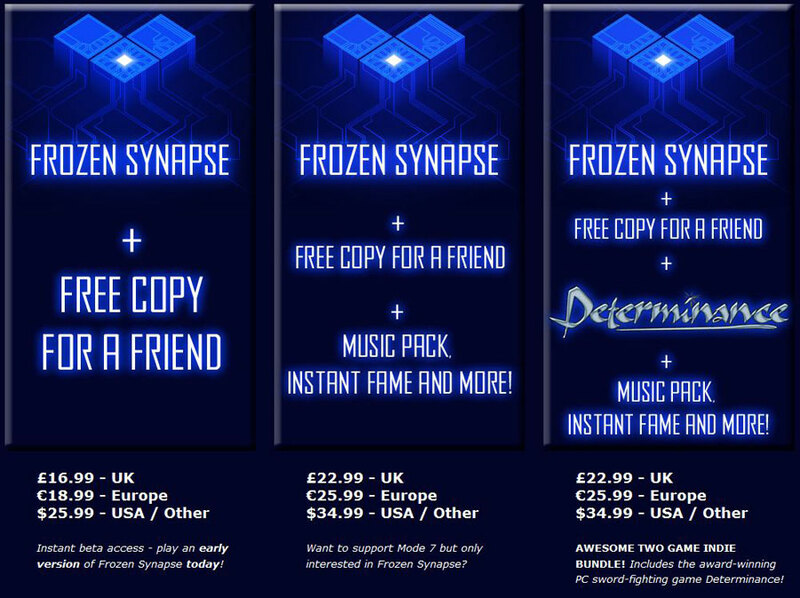 Look back up at the Frozen Synapse deals. Same exact thing! My guess is that they read Ariely’s book, too. 4 I’ll bet that’s working out, and would love to hear so from them. Why does this happen? We simply aren’t very good at evaluating things in absolute terms, like the value of having a subscription to a Web site versus a print magazine. Or the value of some bonus thrown in for pre-ordering or buying from a specific retailer. Attaching value to all that stuff takes a lot of mental power, and if our minds are presented with a shortcut we’ll often take it. In the case of Frozen Synapse, I may not know whether two copies of the game for $25.99 is a better deal than two copies and all that other stuff for $34.99. Is that stuff worth $10? Maybe? But you know what? I’m pretty damn sure that Option 2 plus another game for the same price is a better deal than just Option 2. It’s like getting the game for free! And so my squishy human brain identifies THAT as the best value available, and I’m more likely to take it. Hooray for mental shortcuts! 3. Ariely, D. (2008). Predictably Irrational: The Hidden Forces that Shape Our Decisions. New York, NY: HarperCollins. 4. Read an excerpt that discusses The Economist offers in more detail. Really interesting post Jamie, Think I’ll write a post exploring this in other areas of the digital space.